Earn $0.37 in VIP credit (37 points)What's This? 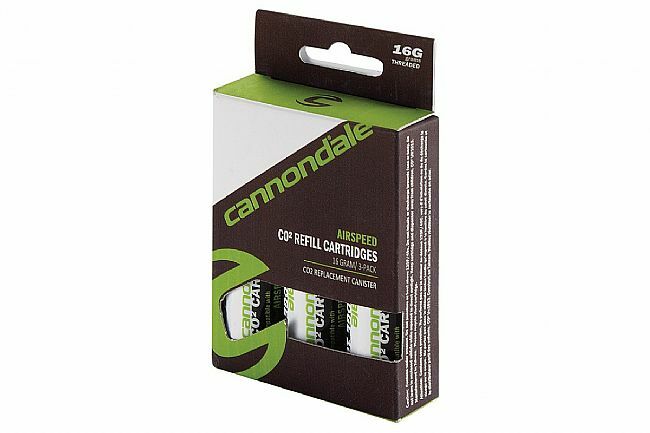 Cannondale's Airspeed Premium CO2 refill cartridges work with most threaded CO2 inflators to get you back on the road quickly. This pack contains three 16 gram cartridges to help you prepare for long days out in the saddle.